Pink and purple are this 3 year old's favorite colors! 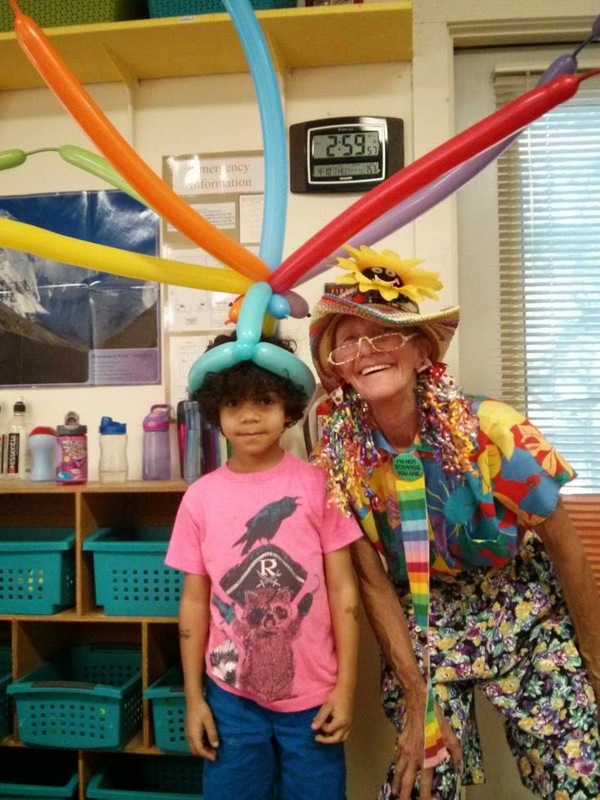 The whole class got in on this 5 year old's Birthday FUN! His favorite colors - rainbow!! Jakey will entertain at your Birthday Party, Festival or special event too!! and ALL of Central Texas! !